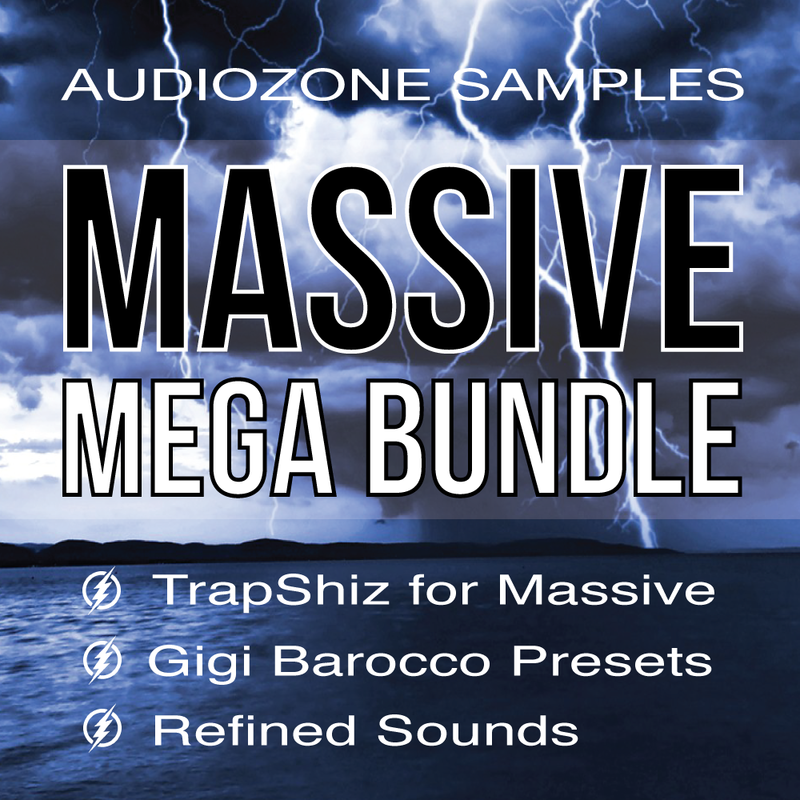 Audiozone Samples is proud to announce, Massive “Mega Bundle”. An huge collection of our bestselling packs for the synthesizer Massive by Native Instruments! This Bundle contains 3 full release with a total of 226 presets! This collection has been created to offer a wide range of powerful sounds for all producers who look for a finely tuned soundbanks with infinite creative possibilities. You will find everything you need to improve your sound and build a quality tunes! Massive “Mega Bundle” have exactly the right warmth to give you a great starting block for your next Hit!!! Audiozone Samples, the Future Sound of Tomorrow. Please Note: this pack is compatible with NI Massive 1.3 and higher.